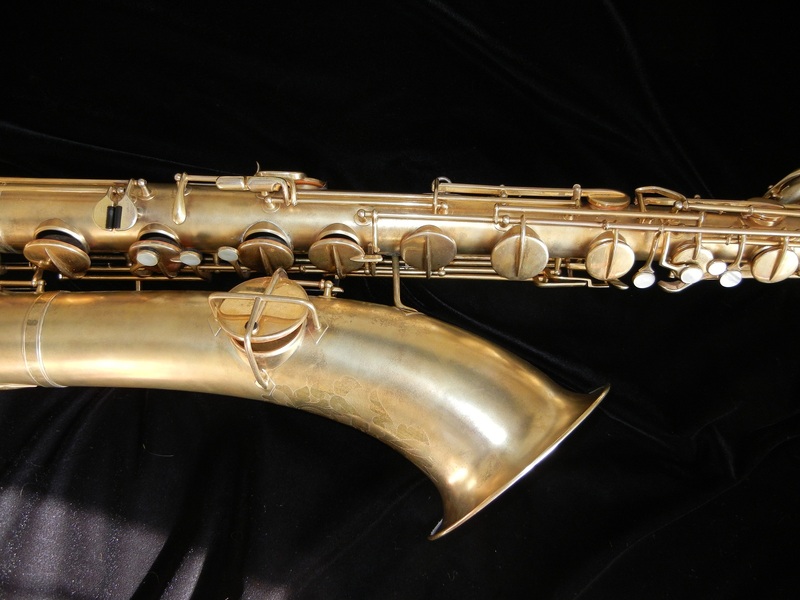 This is a gold-plated 1928 Martin Handcraft baritone saxophone, keyed from low Bb to high F, recently overhauled with reso-tech reusable brass dome resonators. 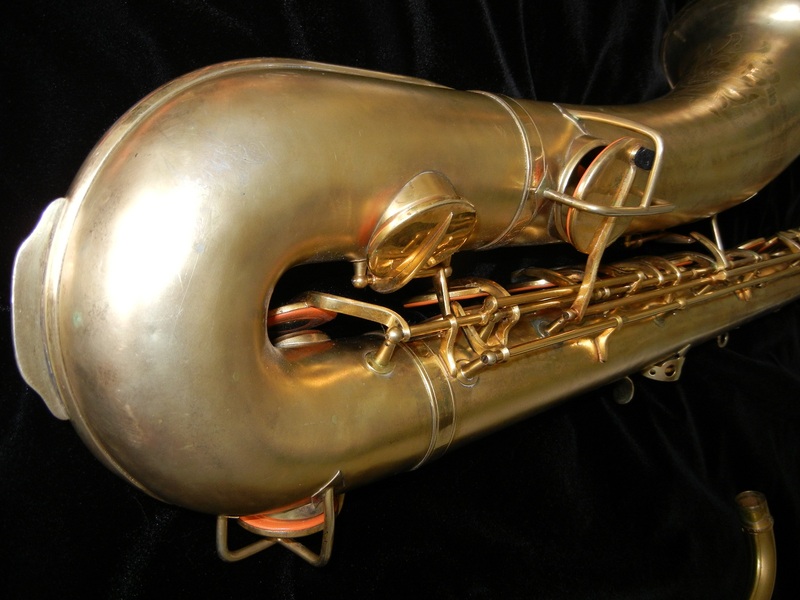 It plays very well, with a rich, dark and powerful tone. 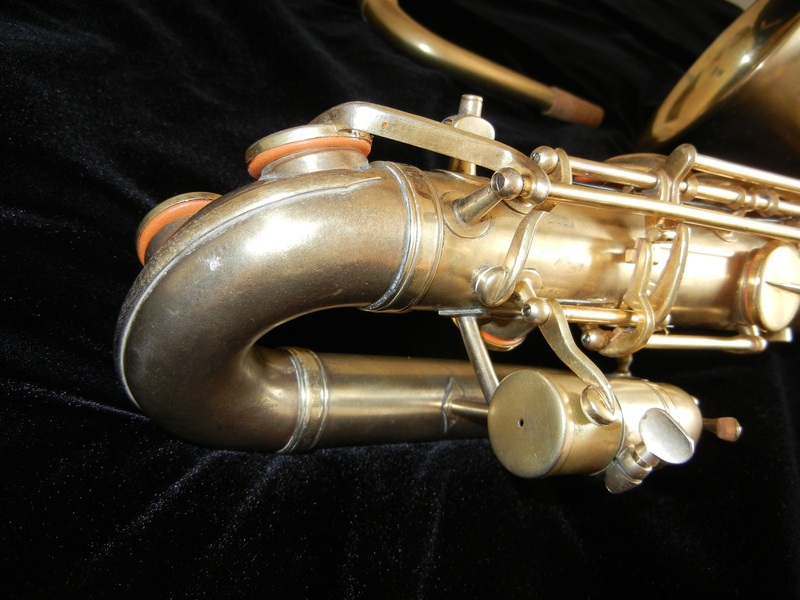 The horn itself is in excellent physical condition (especially for a baritone) and the overhaul work done (Mike Hammer in Philadelphia PA) is very well done. 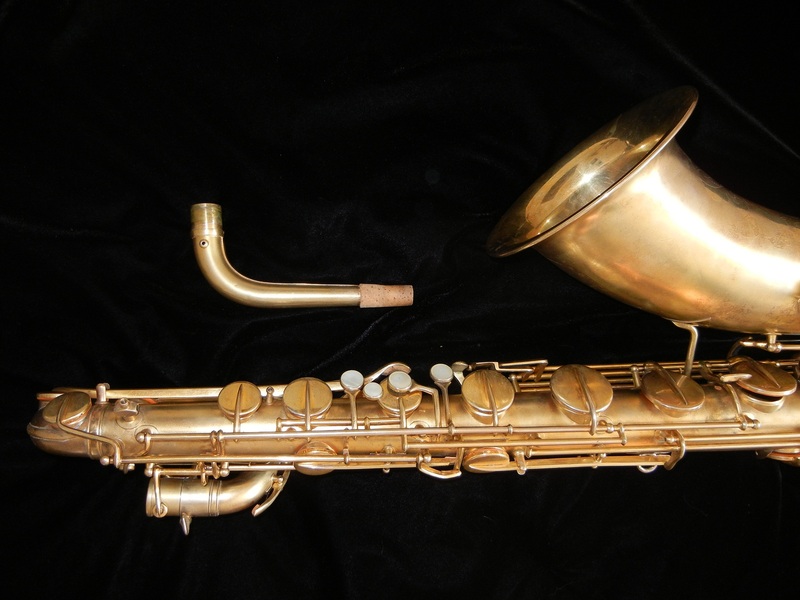 I have gone over it and refreshed it for sale, and it is ready to play for many years right out of the case. It comes with heavy-duty newer shaped wood shell case in very good condition. 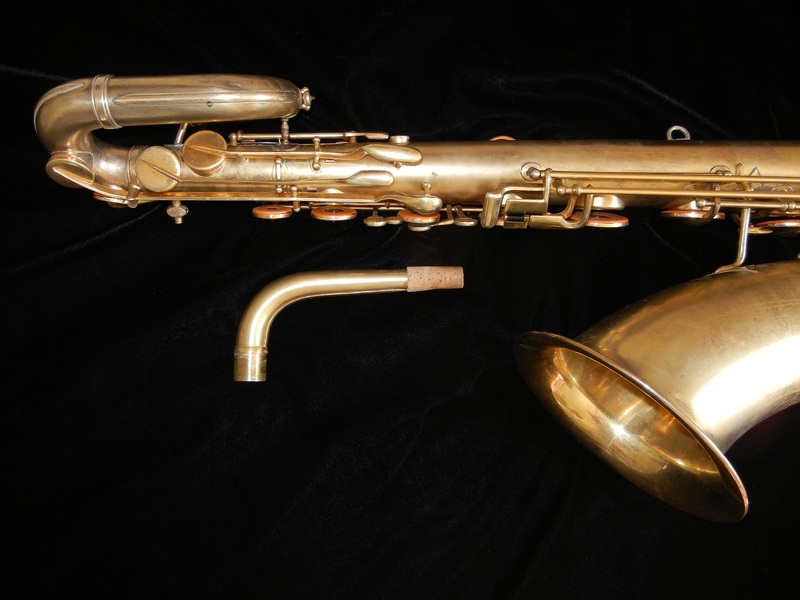 It is not often that you see a vintage baritone in such good shape- and even less often that it is in gold plate. Finding a Martin Handcraft with fresh and good pads on it, high-end resonators, a high F key, in gold plate is extremely rare. 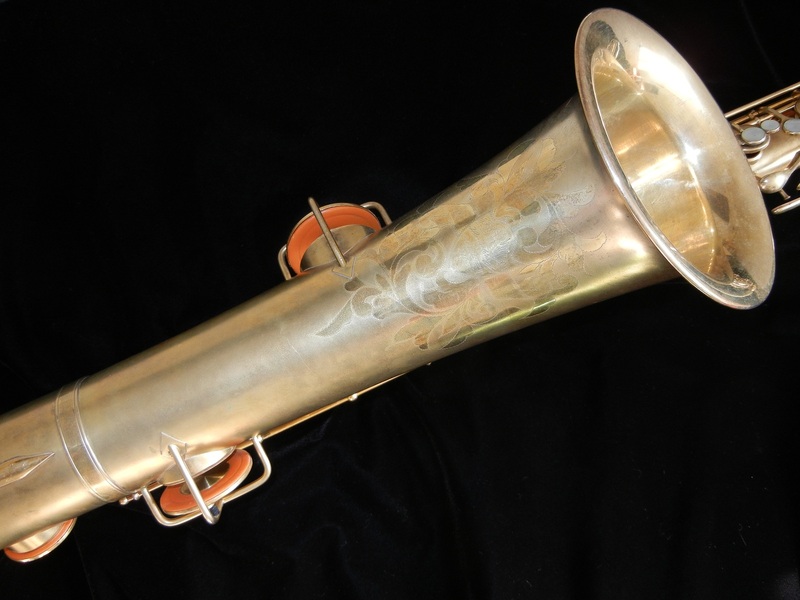 This is a very nice playing horn, a rare horn, and lucky for us an undervalued one. 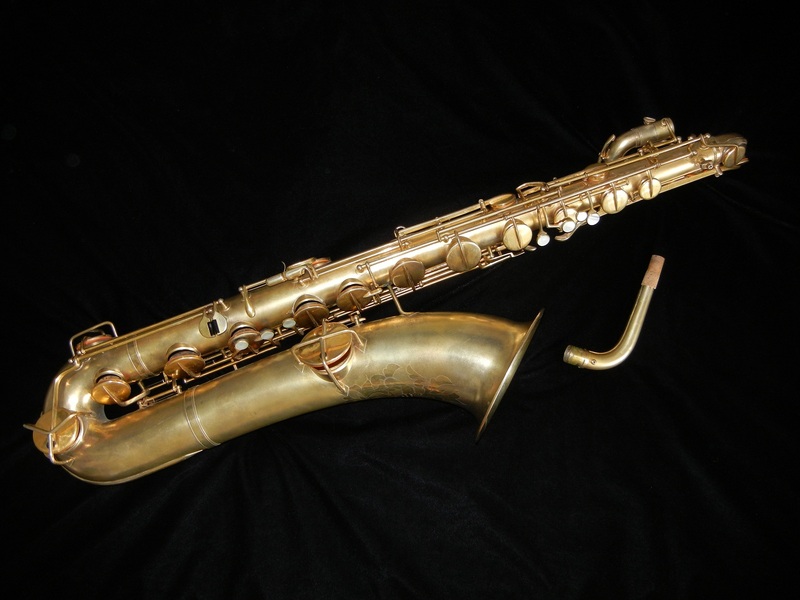 Get a top-shelf recently overhauled handmade vintage baritone in gold plate for less than the price of a student baritone!